The other hot new ereader of 2014 has just gone up for pre-order in Germany. Following about a month after the release of the Onyx Boox T68 Lynx, readers can now place an order for the Pocketbook Ultra. This camera-equipped 6" ereader is listed on Amazon.de for 169 euros, and it ships on 20 July. The Pocketbook Ultra has been greatly anticipated ever since images first leaked back in March. In addition to a 6" Carta E-ink screen, the Ultra sports a 5MP rear-facing camera with LED Flash. That makes this the one and only ereader to combine an E-ink screen and a camera. 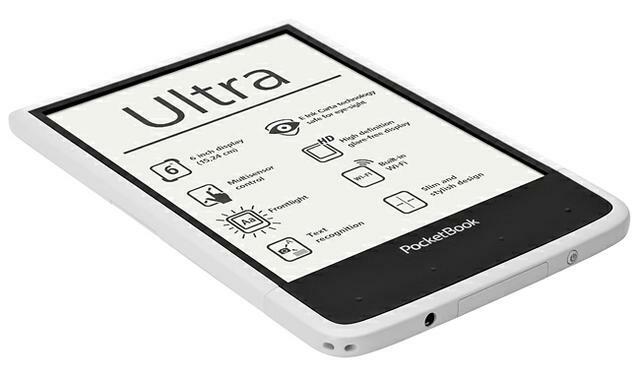 The Ultra runs Pocketbook's version of Linux on a 1GHz CPU with 512MB RAM, 4GB internal storage, and a microSD card slot. Like the second Kindle Paperwhite, it has a screen resolution of 1024 x 758, and on top of the screen the Ultra has a frontlight and capacitive touchscreen. It also has Wifi (but there's no mention of Bluetooth) and a 1.5Ah battery which is expected to give up to a month of runtime (source). This is a pricy ereader, but given the abilities of the camera I think the high price is justified. 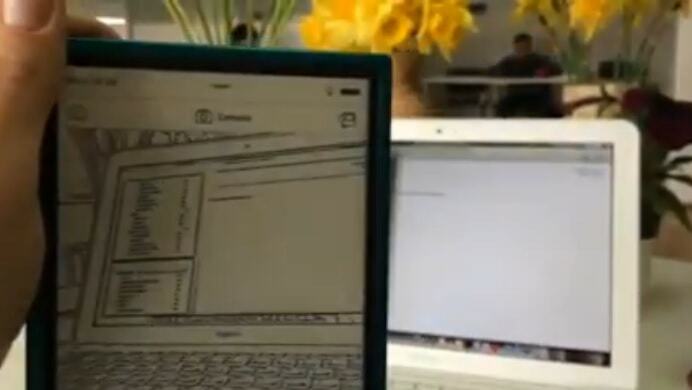 According to the launch announcement (which confirmed videos leaked earlier), readers can use the camera to take a photo of a page from a book and either add notes to the image or run OCR and extract the text from the image. The text can then be used as either a note or attached to an ebook. The camera can also be used for scanning ISBNs and bar codes. In addition to taking photos, the Ultra supports a wide variety of ebook formats, including Epub, PDF, FB2, DJVU, PRC, and CHM. It also plays MP3s, and can read html, txt, doc, rtf, and docx files. It comes with pre-installed ABBYY Lingvo dictionaries as well as a package of services that use the Internet connection (ReadRate, Send-to-PocketBook, an RSS feed reader, synchronization with Dropbox, and more). All in all, there is very little to criticize with this ereader, and really the only way it comes up short is when it is compared to the Onyx Boox T68 Lynx. That ereader has a better screen and runs Android, which I see as two huge pluses. But the Ultra does have a camera and uses it quite well, so it's really a toss up which one is better. Do you plan to get a Pocketbook 640 Ultra? I might not be able to afford one myself, so I would like to hear first-hand accounts. Does it have a mic or a USB port for adding a mic, keyboard. etc.? It has Bluetooth, and we have confirmation that BT keyboards work. It has definitely no Bluetooth! WLAN is the only wireless connection. You might have confused Pocketbook Ultra with Onyx T68. The Onyx T68 has a Bluetooth 4.0 module. Oh, sorry. I was thinking of the T68 Lynx. I don’t know how I got my wires crossed.